Flightpath in association with Phillips/Pilkington Architects worked on this exciting project for the City of Norwood Payneham and St Peters. 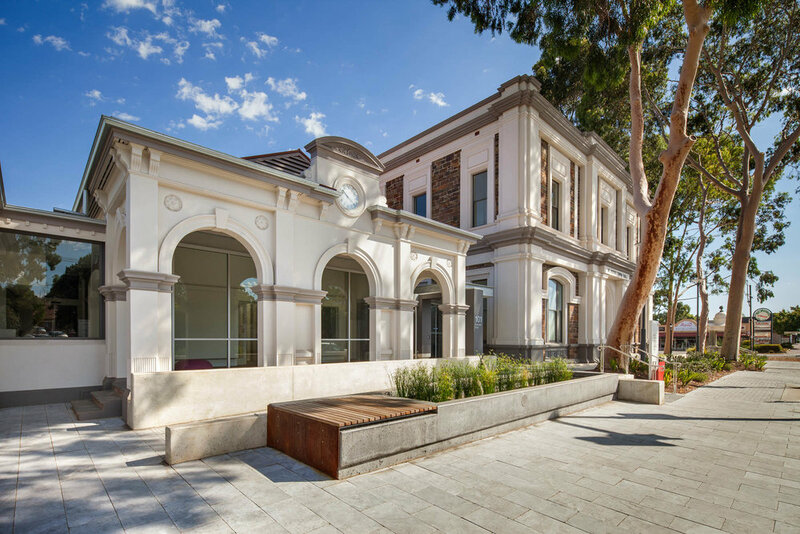 The project involved significant works to the former St Peters Town Hall and the adjoining buildings, which included the Former Post Office and Telegraph Office. 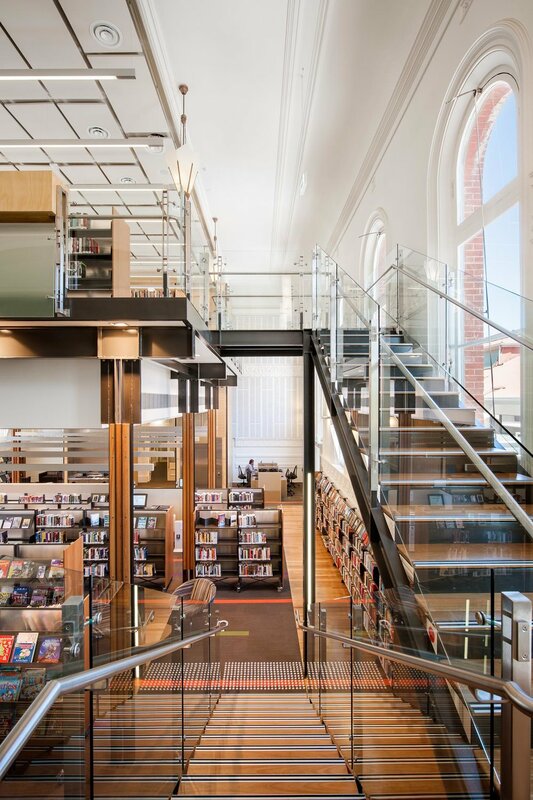 The works included new entrance structure, a new mezzanine floor within the former Town Hall, which is now the library was inserted into the space and included a lift and significant services upgrades. 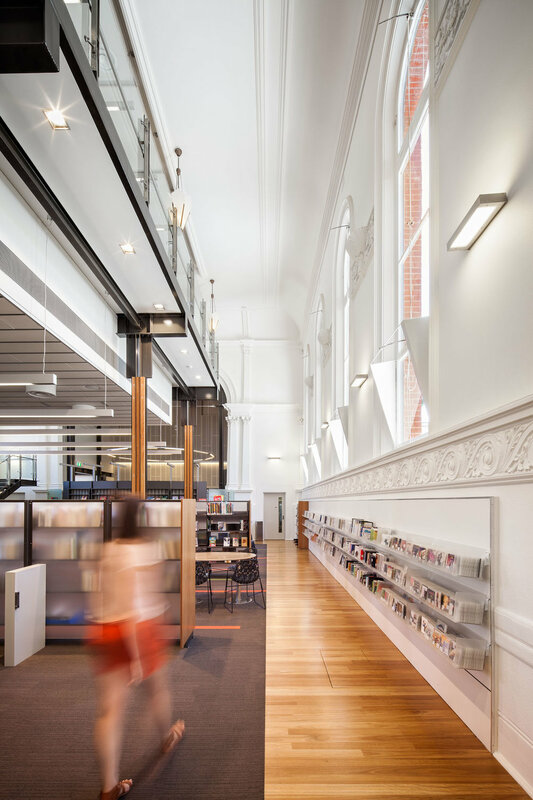 Flightpath and Phillips/Pilkington Architects also worked closely with Oxigen on the landscape component and Koush Design on the interior component to ensure a fitting context for these significant buildings. The project is a successful example of modern architecture used to bring life back to significant Civic Buildings. It received an AIA Heritage Award in 2013.